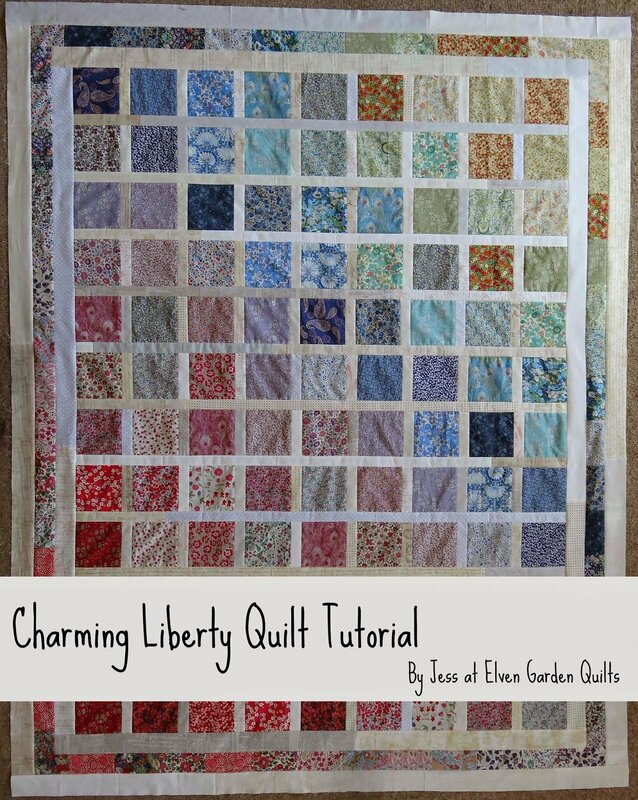 "I have a simple charm quilt tutorial for you today. 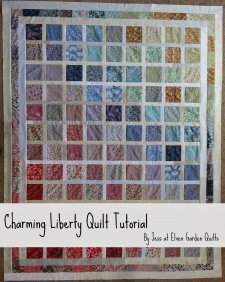 I put this quilt top together using Liberty Tana Lawn from Very Berry Fabrics, to help Ali promote her all-new Liberty Charm Club, which is starting up very soon (you can follow Ali on Facebook if you would like to know when it starts up.) If you would prefer to read this as a PDF document, it will be available as a free download in my Craftsy shop shortly (I'll update this post with the link when it's ready). "This quilt is the perfect beginner quilt, as there are no seams to match up during the construction. It is also a great quilt for more experienced quilters, as it is quick and simple to put together."